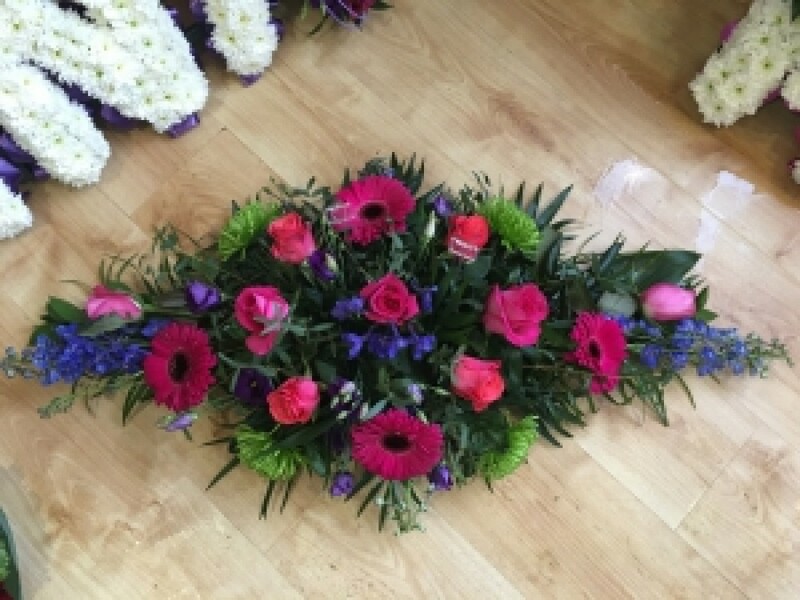 Double ended spray full of different shades of pink roses and gerberas and a mix of greenery with blue delphiniums. Flowers may vary according to availability. Includes local delivery.